I love my truck and have plans to keep it forever. However several years ago the dash started chipping away little by little. Now it is ready to fall on my lap. I hate to drive it anywhere because I'm afraid of what might happen. I haven't gotten it fixed because I didn't realize how bad off it is. It has a dash cover on it so it didn't come to my attention right away. But now piece by piece it is literally falling in my lap. I've always used a windshield cover and dash mat to protect it from the sun but after doing research on this the sun isn't even an issue. Once I took the cover off I was shocked to see how bad off it really is. I have to get this resolved but I hope that the company pitches in here also to make good on my investment. Bought the truck used and it already had a dash cover. Lifted the cover to look at dash and it's destroyed. Bad material used or something. My auto shop was working on my AC and when they pulled off the dash rug they noticed the dash falling apart and sent pictures to AAA. They said it was in very bad shape. 2001 Dodge Ram 1500, low miles, only 37,000 in 2017. Always parked outside, hot and cold weather. rain, sleet, snow, dust, dirt, and mud. 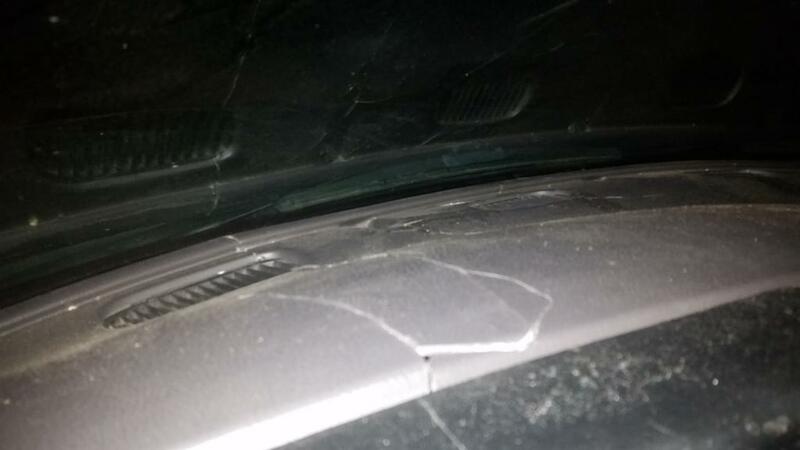 Dash began cracking about 2007. Pieces keep breaking off and it looks bad, and might be dangerous in a crash. Dash bezel brittle and breaking in 2010. A minor inconvenience for a farm truck. 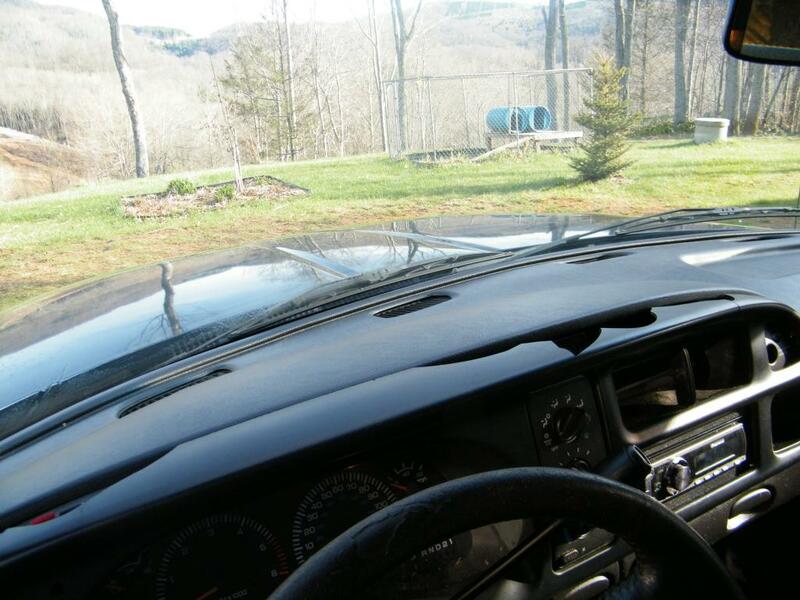 In 2017, I decided to replace the dash and instrument bezel, with an aftermarket dash top (not a cover), and a Mopar OE dash bezel (not a cover). Both pieces are solid (not covers). 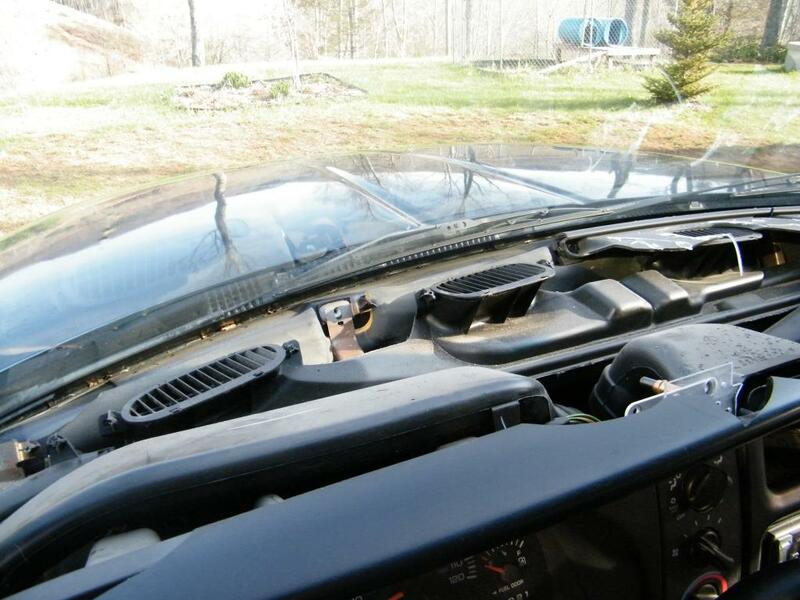 The aftermarket dash top is made from ABS plastic, and is said to be durable. The Mopar dash bezel is required to get a clean fit around the instruments, who knows if the materials used in construction will hold up any better than the original? I think that Dodge/Chrysler Corp cut a lot of corners when they built these Rams (1998-2005 or so). I had to install new tie-rod ends, etc that had grease fittings, because the original ends were sealed components, that wore out prematurely. At 37,000 miles in 2017, the engine and transmission are holding up OK. The clear-coat paint on top and on hood started peeling off about 8-10 years ago, but the truck has always been out in the weather. A good Toyota paint job would still look fairly good at this age, IMO. i have a 2001 dodge ram 1500. i take very good care of my vehicle and the dash is cracking for no reason!!!! The dashboard cracked and has a huge gaping hole. Ridiculous. 2001 DODGE 1500 4X4 WITH A DASH THAT LOOKS LIKE ITS BEEN BEAT WITH A HAMMER SEVERAL TIMES AS THERE ARE MANY PIECES " FLOATING AROUND " AS WELL AS CRACKS, ETC. THIS VEHICLE HAS NOT BEEN OUTSIDE FACING THE SUN ITS WHOLE LIFE EITHER. I UNDERSTAND THIS IS A PROBLEM FOR DODGES OF THIS ERA, AND I FEEL THEY SHOULD HAVE A RECALL. I'VE OWNED VEHICLES FOR 60 YEARS WITH NOTHING LIKE THIS HAPPENING. Every piece of my dash and anything made of the same material has cracked or is in crack mode, I mean all. I have to tape my dash together as the lower dash assemble trim bezel has totally been destroyed. All my instruments have fallen out or are about to.The whole interior is cracking. I can not believe that Dodge has not taken care of this. The plastic they used is like a big bowl of tortilla chips. There is nothing to screw in to. The truck has been great except for the disappearing dash. Some one PLEASE HELP!!!!! The dashboard was cracked within 4 years of purchase which has totally disintegrated into pieces. Leaving wiring and parts totally exposed. The instrument panel cover is also crumbling apart. The hazards of of those pieces flying into your eyes and face is a major health concern, also those pieces from the so-called dashboard could be projectiles during impact. Can't understand why after thousands of complaints from owners of 2001-2004 Dodge truck models having defective dashboards and instruments panels Dodge-Chysler has not done a responsible recall and backed their products??!!!!???!!!!! When the cracks on the dash started to get worse I called Dodge customer service line they told me the vehicle was out of warranty and they would not help.After that conversation I started to investigate to see if this was happening to anyone else, and to my surprise there are many thousands of Dodge trucks over many years that have this defect,these cracks will become projectiles in a front end crash and could cause bodily harm.I wish we could have a class action suit against this car maker because this is negligence on their part. just randomly one fall/winter, my dash just started to crack. I use a sun shield at work during the summer, i use a dash protectant occasionally when cleaning dash. I used a clear epoxy to help slow down the cracks and to keep the pieces that had cracked all the way around and were loose back together, ie, keep the dash from falling to pieces. It continues to crac around the epoxy and random new cracks all over the dash. Any slightly bumpy roads makes it worse. I cannot believe GM and Dodge have not done a recall on this issue yet. It's completely horrible! Dodge should recall the dashboards they are defective and are causing potential injuries or even death possibly if an accident was to occur. The entire top of the dash literally turned into crumbled pieces of sharp shards. When you held the pieces in your hand they turned into dust. There were tiny sharp dash pieces all down inside the dash frame causing problems with cut wires and some got into the ducting. Poor quality plastic and poor manufacturing processes. Even the dash gauge bezel was cracked and had to be replaced with after an market one. I don't remember exactly when it started, but my dashboard started cracking and just never stopped! It now is almost half gone! I keep it covered with a dash mat, because its very embarrassing to me when people are riding in it. I took it back to the dealership i bought it from and they told me they would replace it if I payed for a new one cause it was out of warranty. I said so what, its a defect in material not something I did. The dealer actually asked me what i did to it, did I hit it with something! I said no it just started cracking, He didn't believe me! So I did nothing because I felt i shouldn't have to pay for their lack of using bad materials. I bought this truck directly from dodge dealership in mid 2000. New truck with less than 25 miles. It's my personal truck not work vehicle and I'm very "picky" about keeping it clean and maintained and it's parked in garage yet after just a few years I noticed dash cap cracking. 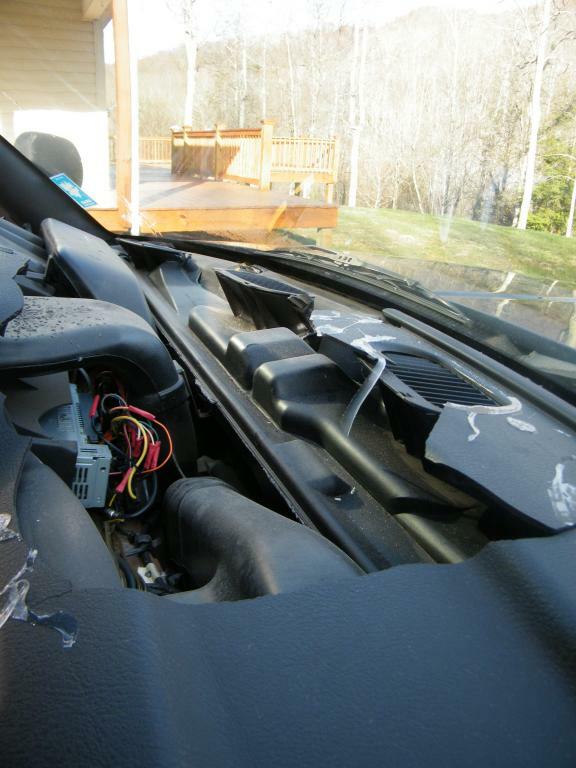 Then when it was removed in order to replace heater core, it fell apart into pieces. Talked with dealership and was told it wasn't covered in warranty and that I should have used a cover to block direct sunlight. I ended gluing it up as best I could and re-installing it. Initially there were minor cracks. As time progressed the cracks have become a major issue of concern. The dashboard top has severe crack across the top of the entire dashboard. Now the dashboard is falling in or caving in on itself. I am looking to replace the dash with an aftermarket replacement part, and not likely to be an OEM part. I do not believe the propagation of these cracks can be attributed to either driving or weather conditions. 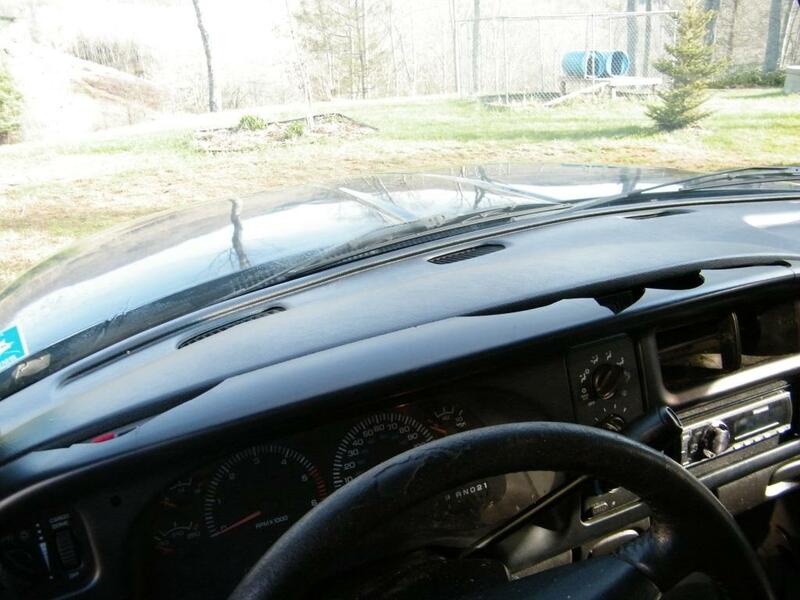 The truck is not driven daily and I have kept the dashboard covered with a fitted cover & the front windshield with a sun screen/deflector in place to reflect the heat & minimize sun exposure. I purchased my 2001 Dodge Ram 1500 sport brand new in 3/2001 and have had very few issues with it save for one. The entire dashboard has completely cracked apart. The pieces are constantly rattling around inside the dash and in the blower now because small pieces fell into the vents. I cannot believe dodge has not issued a recall or offered to replace these obviously defective parts. I still own my vehicle as of 10/2015. I have long hoped dodge would come to their senses and do something about this issue, but I guess not. I have not since nor will I in the future purchase any vehicles from a company that does business this way.